Cannatourism is alive and well in Colorado. Travelers who visited the state primarily for leisure purposes spent roughly $98 million at recreational marijuana stores last year, accounting for nearly 17% of overall adult-use cannabis sales in Colorado, according to a first-of-its-kind estimate by Marijuana Business Daily. 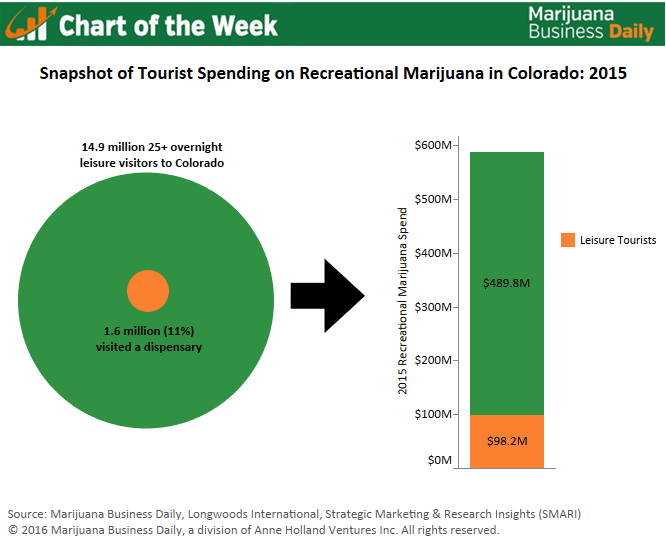 The figures don’t include marijuana purchases by visitors who were in town primarily for business or other reasons, so the actual tourism impact on sales is higher. While many stores in the Denver metro area primarily serve locals, some located along the highway leading to the city from the airport and in popular tourism hotspots like the 16th Street Mall get a majority of their business from visitors. In some mountain resort towns, tourists account for 90% or more in sales. 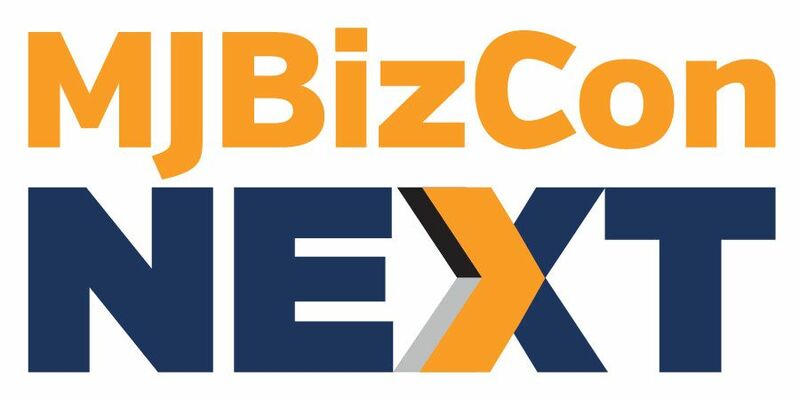 Indeed, Ari Markowitz – chief technology officer at Native Roots, which has recreational cannabis shops throughout Colorado – said the company’s locations in popular destinations for skiing and snowboarding attract a much larger share of tourists than its average store in other places, where residents account for the vast majority of sales. The estimates were made by analyzing average per-person recreational marijuana spending data from the What Cannabis Patients & Consumers Want research report by Marijuana Business Daily and two studies commissioned by the Colorado Tourism Office for the 2015 calendar year. One of the studies, by Longwoods International, found that 14.9 million visitors age 25+ made overnight leisure visits to Colorado last year, while the other study – by Strategic Marketing and Research Insights (SMARI) – found that 11% of tourists age 25+ visited a dispensary during their stay. Neither of these reports focused solely on tourists’ use of marijuana, but the estimates are based on sound data and provide insight into just how important out-of-state visitors are to Colorado’s recreational cannabis market. The studies indicate that the importance of tourists to Colorado’s marijuana industry may also be increasing – at least in the short term. The Longwoods International report showed a 6% increase in leisure trips to Colorado from the previous year, well above the average national growth rate of 1%. Furthermore, results from the SMARI survey showed 23% of Colorado tourists were positively influenced to visit the state by the availability of legal marijuana – though only 11% of respondents said they visited a marijuana retail store during their stay. A SMARI representative suggested this discrepancy may be due to a perceived stigma on behalf of survey respondents to admit they visited a rec shop, suggesting the actual rate of visitation may be under-reported. But Colorado retailers should not expect this high level of tourist support to exist in perpetuity, and they would do well to have a plan to deal with the impending change. As the recreational cannabis market matures and expands nationwide, Markowitz believes the novelty tourists feel when visiting a Colorado rec shop encourages increased purchase behavior that may not exist once such experiences become commonplace. And with states such as California – the largest medical marijuana market in the nation – set to vote on recreational legalization this fall, such a time may be fast approaching.